As we all get excited about National Day drawing near, lets get some nice, cool jelly for this hot, sweltering heat! 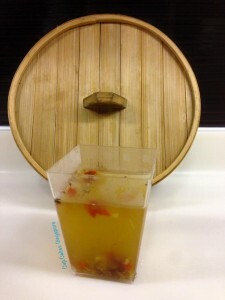 This Osmanthus Chrysanthemum Jelly is not only good for the body due to the benefits of Chrysanthemum, Wolfberries and Osmanthus, it is also very refreshing. Dispels cold and dampness in the body. Treats menstrual pain and stomach pain. Warms stomach, improves digestion, treats intestinal diseases and reduces the amount of stomach gas. Used to tranquilize an active liver. Removes many toxins from the body. Brilliant for enhancing eyesight, reducing bad breath and moisturizing the skin. Get these great jellies which not only taste great but also full of medicinal values! 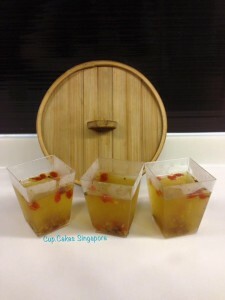 For the month of August only, quote “CCS50SG” to get 3 Jelly cups at $5.00!